Manufacturers are putting their faith into Baxter to find practical workplace solutions to increase efficiency, reduce costs and improve safety in the workplace. After the great reception in the USA, helping companies like John Deere, Genco, Schneider Electric and Flambeau, the Baxter Manufacturing Robot is now available in the UK and Europe with ISO 10218-1 & ISO 10218-2 certification for production prototyping use. The University of Sheffield have recently announced that they will be implementing the Baxter Robot into their Advanced Manufacturing Research Centre (AMRC) as part of their commitment to researching the next generation of robotic technologies with their manufacturing partners like Boeing and Rolls Royce. Companies have reported that typical Return On Investment (ROI) can be in as little as 12 months which, when added to the already generous savings when compared to an industrial robot, makes for an even smarter investment for the future. 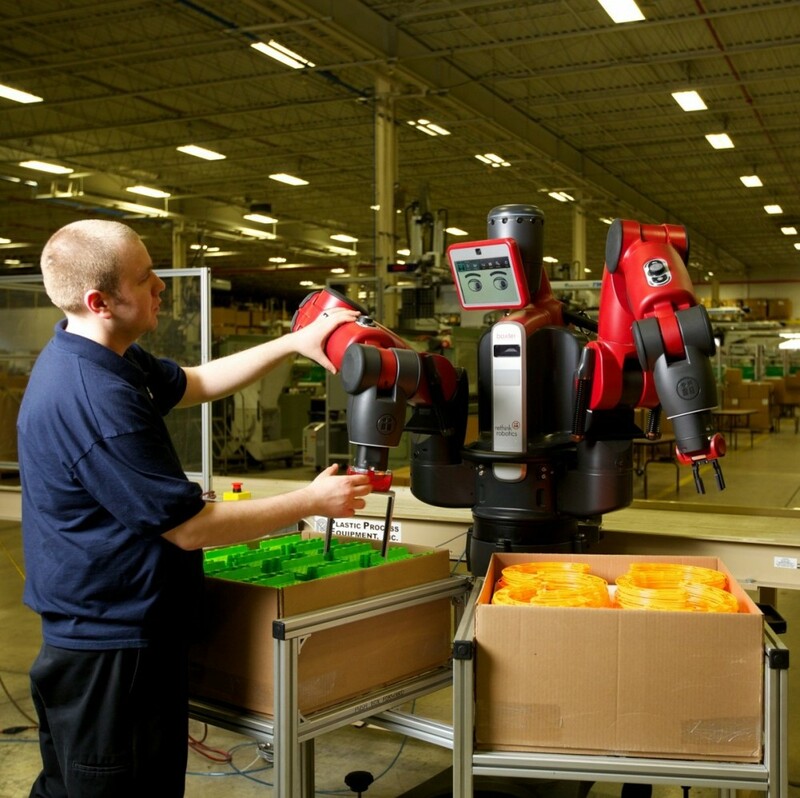 Active8 Robots can undertake a feasibility study for any industry and provide a free demonstration to show how Baxter can work for your business. Baxter is available now, price from £19,000/ €22,000 and is ISO 10218-1 & ISO 10218-2 for prototype industrial use.